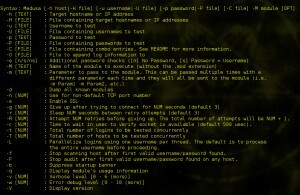 Browse: Home / Medusa v2.2_rc3 released : is a speedy, parallel, and modular, login brute-forcer. + Detect FreeRDP-Nightly installation. It is recommended that if you are using the RDP module, it be built against a current version of FreeRDP. The FreeRDP-Nightly site provides binaries for several platforms and can be installed side-by-side with the released version. Medusa will detect and use the nightly version during its build process. + Disable NTLMv2 mode in SMBNT module. 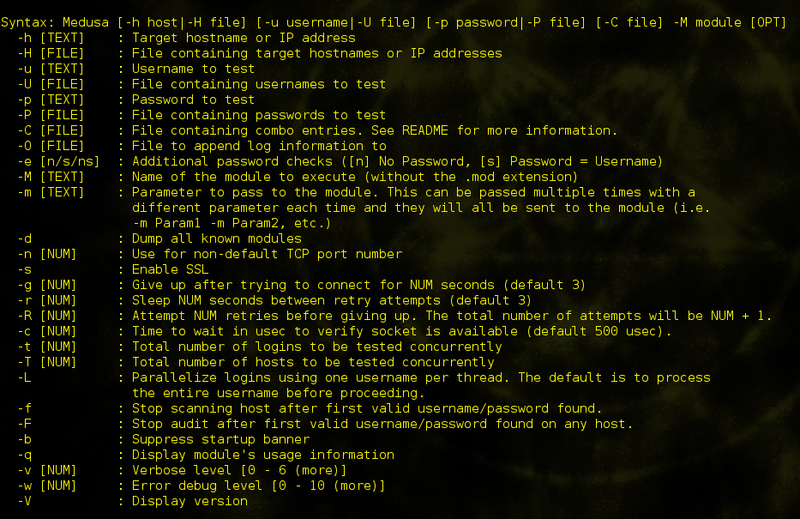 The default LMv2 mode should handle all systems that require NTLMv2 and not impact any password guessing efforts. LMv2 is basically a compact version of NTLMv2. 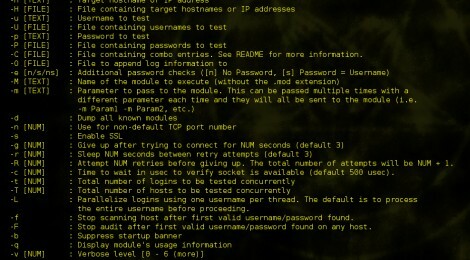 ← The Penetration Testers Framework (PTF) v1.4.2 codename Tools-R-Us released.